To help you get into the heads of those who experienced the Great War, first-hand and second-hand, check out ten books published between 1915 and 1918. Written by Canadian, American, British, French, and Hungarian authors, these texts are examples of the conflicted ideas about war in general and the Great War Itself. The writing style is somewhat different to our modern sensibilities, being somewhat narrative heavy, but once you settle into them, I think you’ll find the experience rewarding. All of these books are available online at various sites. The links are provided. 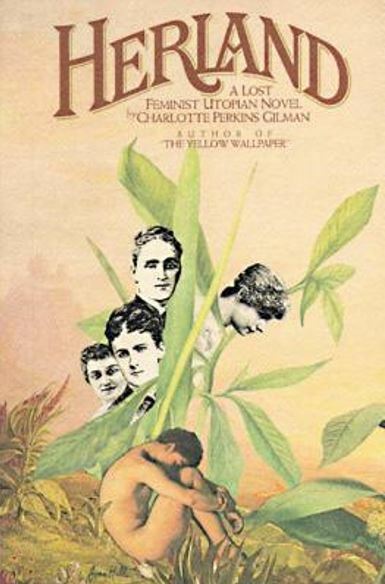 Herland by Charlotte Perkins Gilman. Published in 1915, this American feminist novel explores the world of an all-woman society through the eyes of three men who discover it. The novel explores themes of motherhood, gender roles, and individuality as the three men adjust to their new life in Herland. 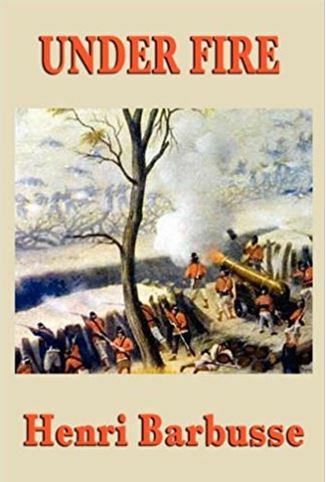 The absence of violence and war are one of the notable features of this society, a topic that must have felt close to home as Gilman followed the war in Europe, a war the United States had yet to join. I read this book almost thirty years ago and it is still relevant today. 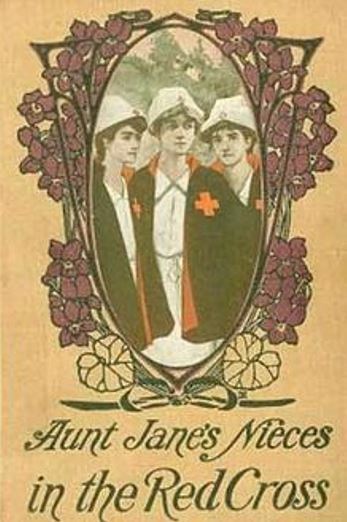 Aunt Jane’s Nieces in the Red Cross. This is one of a series of Aunt Jane’s Nieces books by Frank L. Baum, most well-known for his Oz books. It tells the story of three young women who volunteer to work overseas with wounded soldiers, long before the United States joined the foreign war. As a young adult novel, Baum reflected, “I wish I might have depicted more gently the scenes in hospital and on battlefield, but it is well that my girl readers should realize something of the horrors of war, that they may unite with heart and soul in earnest appeal for universal, lasting Peace and the future abolition of all deadly strife.” A good read to get a female perspective of the war. 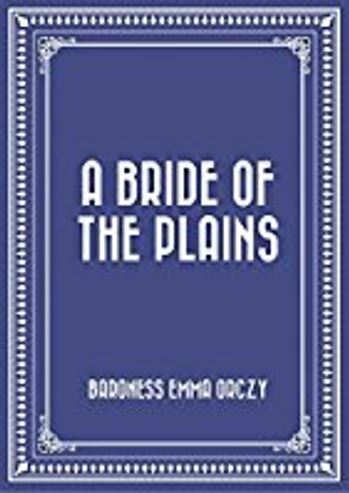 A Bride of the Plains. Written by the author of The Scarlet Pimpernel, this romance takes place in Hungary and opens on draft day, a day when all the young men of twenty one are sent to fight in Bosnia “where ever that is.” Emmuska Orzky’s narrator tells the story of Elsa, separated from her lover, Andors by the draft, and how she navigates her life over the three years he is away. This is a good read to understand the Great War from the Eastern European point of view. Under Fire, by French soldier, Henri Barbusse, is the fictionalized version of his first-hand experience with trench warfare. The novel takes the form of a journal. The writing is brutally realistic as the story follows a squad of French soldiers on the Western front in France after the German invasion. Barbusse served for 17 months on the front lines before being invalided out of active service. Like many soldiers, he became a staunch pacifist. His novel was widely criticized, especially after the war when the first rush of patriotic war novels were published. For an unflinching look at the war from those who really were fighting for life and country, this is the book to read. 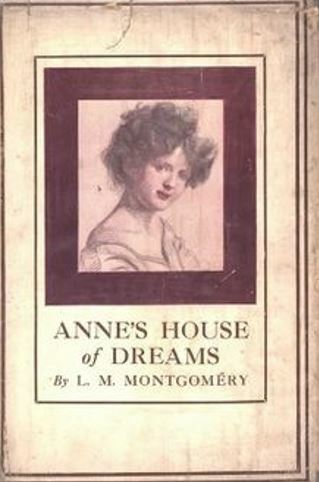 Anne’s House of Dreams by L. M. Montgomery. Published during the Great War, this part of Anne Shirley’s, now Blythe, story takes place years before the war. Anne and Gilbert are married and living in their “house of dreams,” meeting new people and experiencing the heartbreak and joys of starting a family. The novel must have seemed a refreshing antidote to the battles raging in Europe. 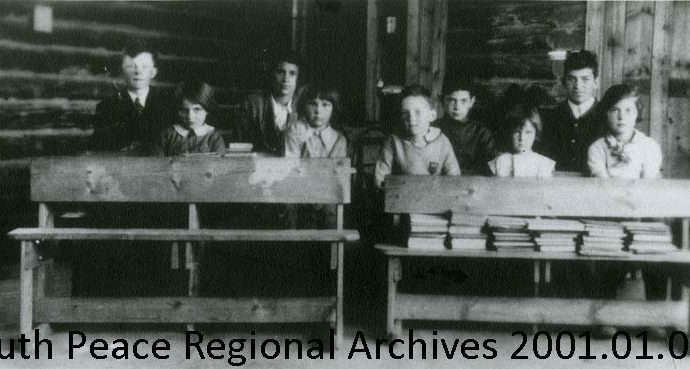 While writing, however, Montgomery and her minister husband spoke at recruitment meetings and ministered families whose sons, brothers, and fathers had died in the war. Oh, Canada! A Medley of Stories, Verse, Pictures & Music. The product of various authors living at the front (or maybe not, according to the Salut! Which introduces the book) this medley is exactly that – humourous stories, poems, songs and drawings reflecting on the overseas experience. The soldiers write and draw about homesickness, the French soldiers, front-line nurses, and writing poetry in the trenches. Bright in its dark humour, this little gem provides insight into the how Canadian soldiers viewed and dealt with their battlefield life. The CEF Alphabet on page 62-63 is not to be missed. 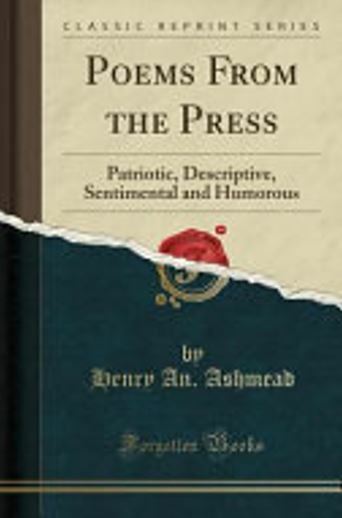 Poems from the Press – by Canadian Henry A. Ashmead is a combination of patriotic, historical and humorous poems. Writing about the war, Ashmead calls women to duty, exalts soldiers and sailors, stresses the importance of honouring political agreements, praises Serbia, and chastises Germany. 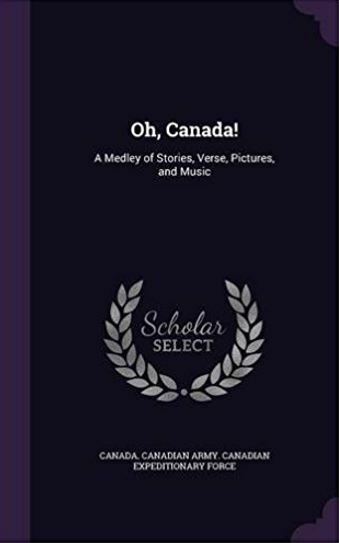 Poetry often gets to the heart of sentiment and opinion and these poems definitely catch the patriotic fever gripping many Canadians and most publications at the time. 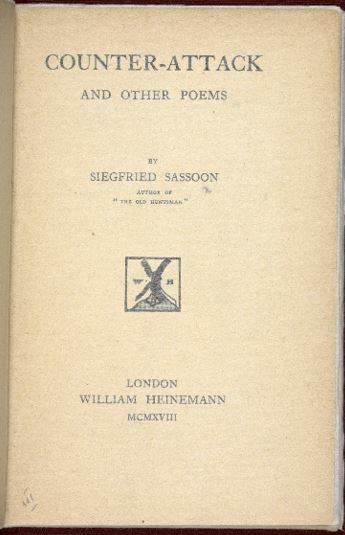 Sassoon’s poems let the reader know that hell where his generation’s youth and laughter went. 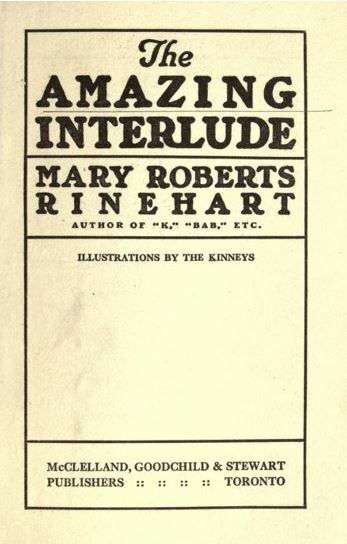 The Amazing Interlude by Mary Roberts Rhinehold. The American author penned this novel about a shy young girl, Sara Lee, who manages, with some help from Methodist ladies and Englishmen, to get herself overseas to nurse soldiers because she believes it is the right thing to do. Eventually, she is “dragged” back home from by fiancé. In Sara Lee’s point of view, the war, where she developed skills and friends, was the amazing interlude from the unhappy life she was destined for back home. This is another great story about a woman’s experience of the war. 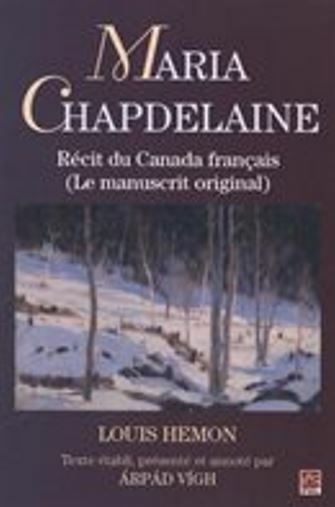 Maria Chapdelaine – first serialized in France, this French-Canadian pastoral by Louis Hémon is often viewed as a rebuke to English-Canadian arrogance towards Canada’s French-speaking citizens during the Great War. The novel celebrates the French and largely Roman Catholic sentiments toward a quiet, country life where family and family obligations are paramount. This is a great book for gaining some insight into the anti-war sentiment in Quebec that helped precipitate the conscription crisis.